If we look towards God we will be saved from the distractions of the world and the evil that wants to consume us. When we turn towards God we see God’s arms are open and ready to embrace us with total acceptance and love! We are redeemed by the transformative power of God. 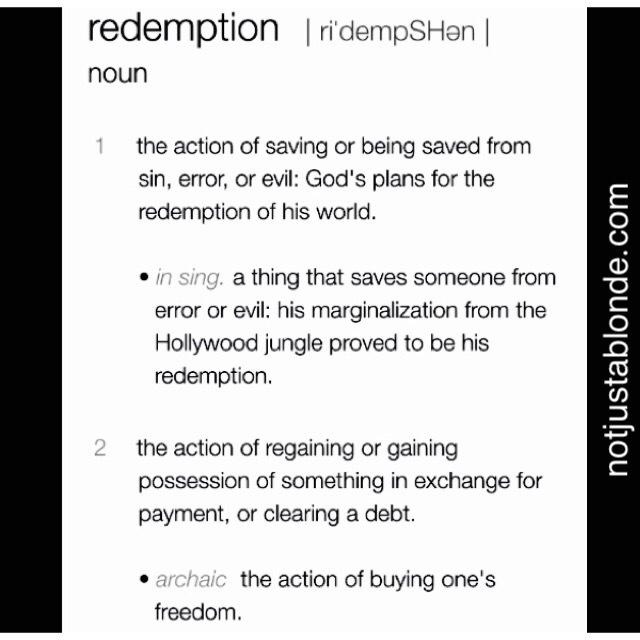 God is my redeemer… may I continue to be redeemed every day of my life! ← Not Just A Blonde @ Women of Faith!